Betsy Bardi is a true believer that your environment affects everything about your mood, your ability to work, and your ability to relax. Interior Design is also a personal and creative reflection of you as an individual. Betsy graduated from East Carolina University in 2003 with a Bachelor of Science in Interior Design. She knew from a very young age that Interior Design is where she thrived and this is what she wanted to pursue in life. She has had the experience of working in many facets of Interior Design thus far in her career. These include private firms, design centers, showrooms, and retail. All of these paths have led her back to running her own residential design company. With her own Interior Design there are no restrictions. She thrives on listening to her clients needs and translating those needs into something beautiful that they love. Her goals are to please the client, stretch them a bit and present new and exciting ideas they may not have come up with on their own. Through accurate space planning, architectural detailing, pre-construction, and use of scale and color she strives to create a space that is not only functional but aesthetically pleasing to the client and the designer. Best of Houzz 2013 - 2018. Principal designer Sally Williams has a design aesthetic that is timeless & free of stylistic premises, working in modern & traditional spaces alike. Sally transforms a space artistically, providing balanced composition & soulful color schemes set in crisp, optimistic environments. She has a strong philosophy that environments impact peoples' daily lives, and she works with the client to deeply understand what they want and need in their space. A multi-cultural heritage and years abroad have inspired Sally’s creativity, which is delivered beyond your expectations. White Oak Custom Builders is a full service, Raleigh area, residential building company. We bring over 20 years of experience in high-end custom building; having worked on some of the finest homes in the triangle area. During this time, we have assembled the best team of designers, vendors and skilled tradesmen, to ensure you have the best products available with the highest levels of quality and craftsmanship. We are committed to excellence and providing you, the customer, with the best building experience possible! Ten years ago, the siding on my house needed to be replaced and the gentleman who came out to give me an estimate complimented the design in my home. He asked me for an estimate to design his living room. At this time, I dreamed of owning my own company and wanted to be my own boss. I did not have the resources or money to open my own business but I knew I enjoyed interior design. With perseverance and hard work, I finally took the chance to follow my passion and have found success since. My passion is to make a home look beautiful with the help of my client's vision. My clients often tell me that they choose Tranquil Designs because of our service, price, and professionalism. With budget in mind, I promise quality work and make it as convenient for my clients as possible. Along with my love for design, helping people is what drives me. My team is a reflection of me and I am truly blessed to have a team that shares my passion. Tranquil Design, founded by Deri Washington is a residential and commercial interior design company based in Apex North Carolina. Our passion for creating stylish, organic and contemporary spaces is matched by our efficiency and creativity in all of our projects. With more than 16 years of design experience, Jaimie can offer a wide range of services including project management, single room solutions and entire home makeover with specializations in both residential and commercial design. Jaimie has worked closely with architects, builders, and private clients to integrate her professional design theory with client ideas to render a space for both functionality and aesthetics. She designs with an upscale yet practical feeling suited for her client's everyday life. Jaimie's client list includes former players and coaching staff to the Carolina Hurricanes as well as Kieran Shanahan, former cabinet member to Governor Pat McCrory. Past clients would describe Jaimie as committed, focused, driven, and passionate. Jaimie attributes keys to her success to connecting personally with her clients and focusing on strengths in customer communication and attention to detail. 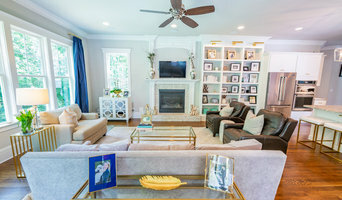 Raleigh's Personalized Interior Designer | 2x Best of Houzz Winner! Specializing in Residential Interior Design for over 20 years. Consulting with Clients on their existing homes or as a Liaison between the Client and Builder for new construction or a renovation project. Serving Clients with small projects or entire homes. Each Client's project is unique, therefore is based on their individual needs and lifestyle, with great attention to detail and a "hands on" approach. Our vision is to assist in creating inviting and functional living spaces harmonious to a client's lifestyle while reflecting their individuality and operating within the parameters of their budget. Our philosophy is to make the design visions of our clients come true by creating unique, beautiful dwellings tailored specifically to meet our clients’ needs. Our aim is to create well-conceived spaces with an understated and subtle sophistication while keeping our client’s tastes ever present. For us, it is important that our clients’ personality is able to shine throughout the spaces they inhabit. Your Vision. Your Space. 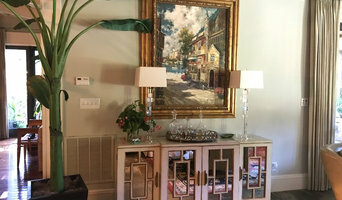 With over 30 years of experience in Interior Design, Amy Lowe has built her reputation in the Raleigh area as a premier home stylist. Her love of tactile materials – fabrics, trims, wallpaper and furniture- was what drew her to interior designer. Those items as well as her ability to connect with her clients have made her business a success. Each project is an opportunity to make an aesthetic statement that fills a need but also is distinctive and unique to the client. Whether a residential or commercial project, Amy walks into a site and can visualize the finished result. She provides professionalism while working through the design process and enjoys the relationships she develops with each of her clients. 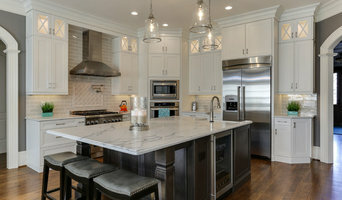 Whitaker Mill Works designs and fabricates custom cabinetry and furniture in Raleigh, NC. We seek to accommodate the growing need for efficient, durable, fine quality wood products for contemporary living and working environments. We meet this demand with high quality millwork, cabinetry, and smart furniture. Our process is driven by a combination of stewardship, sustainability, and quality. We design with consideration of the intended use, existing space, and potential changes to both. Creativity is the incubator for intelligent production. Our craftspeople share a passion for form and function, exploring the ways in which a piece can present aesthetically and serve purposefully. We are a collaboration of designers, creators, golfers, musicians, cyclists, yogis. Quirky folks doing seriously serious woodworking. Ovokus Projects LLC is based in Raleigh North Carolina, engaging with clients to meet all of their design and development needs. Specializing in commercial and residential services that include space planning, project management, renovation, decorating, paint consulting and decluttering. Brian is a trusted design expert that engages homeowners with understanding, sensitivity, and confidence, navigating them through the design process from initial consultation to project completion. Brian builds excitement based on strong designer client relationships and with a high level of professionalism and communication allowing homeowners to overcome obstacles that stand in the way of their unique and personal dream space. If you want Brian to design your dream home, give him a call at (919) 588-4536 or click the "Contact Me" button to send him a message. We look forward to working with you! 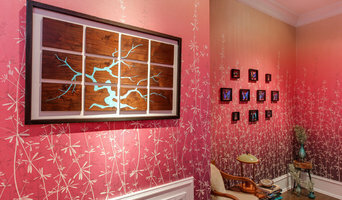 For over 20 years, Kelley has been creating fresh, one of a kind window coverings and interiors. Kelley's designs and love for color and fabrics are a visual feast for the eyes. Kelley's passion for her work results in exquisite design, intricate details, and superb quality. Her work is best described as anything but ordinary! Kelley prides herself on her ability to work side by side with her clients as they personalize their homes while also creating beautiful surroundings. Her unique designs confirm her belief that style and design should excite the senses and celebrate life. Since opening her firm, Kelley's work has been featured in design publications in Greensboro, Charlotte, and Raleigh.